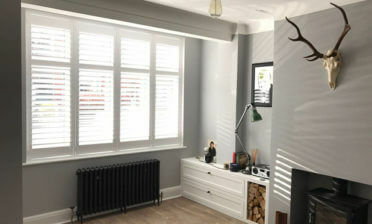 Jamie was in Croydon to help a client with shutters for an office room at the property in Selsdon. The area where the shutters were to be fitted was a bay window which required special shaping of the shutters and frame to match the contours of the window recess. Because all our shutters are created to order we can design and fit the shutters around your exact window, no matter what the size and type. The client picked to have some of our shutters installed in the office, as they are the best window dressing for control of light and getting the correct lighting not only in the room, but on the computer screen and other equipment. Working in an office environment requires just the right amount of light so that you are not facing screen glare or too much darkness. They also look very professional and will help to keep the room warm in the colder months with their natural insulation properties! 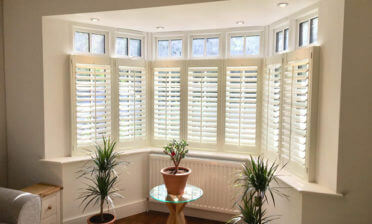 The shutters were created using our Cuba Range of material which is both rigid and lightweight. We used 76mm louvres with a silent tilt rod system that creates a minimalistic look while allowing the shutters to be operated without the need for a visible rod. 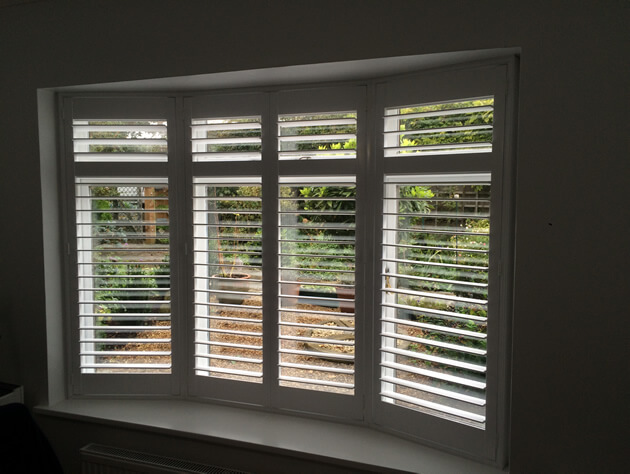 We created each shutter in a full height style with mid rails placed in the same position as the windows. This not only makes them perfectly match from inside and outside, but allows the top and bottom sections to be adjusted separately. We completed the shutters in Pure white with matching hinges which blends well with the office.